KUALA LUMPUR: The Consumer Association of Penang (CAP) is urging the government to assess its position in regional trade agreements like the Comprehensive and Progressive Agreement for Trans-Pacific Partnership (CP-TPP) and the Regional Comprehensive Economic Partnership (RCEP), which it fears could impact the price of medications and pharmaceutical products. The CAP is concerned that trade agreements may contain an intellectual property clause, which may prohibit the government from taking unilateral actions to protect the interest and health of its citizens, said CAP honorary secretary Martin Khor when met after his session with the five-member Council of Eminent Persons (CEP) at Menara Ilham here, yesterday. “Very few Malaysians remember that the cost of medicine is equally as important as the cost of food. Our study indicated that three-quarters (75%) of Malaysians do not have savings to the tune of RM1,000 in the event of medical emergencies. That was what we told the CEP this morning,” he said. The new government must take the issue of medicine seriously and bring down the cost of medicines for serious ailments, he added. 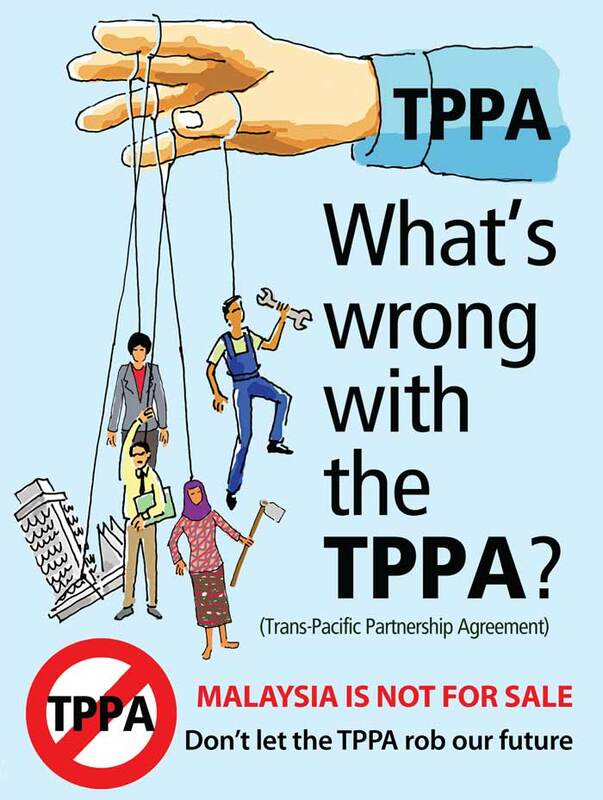 CP-TPP is a signed but yet-to-be ratified trade pact among Australia, Brunei, Canada, Chile, Japan, Malaysia, Mexico, New Zealand, Peru, Singapore and Vietnam. At least six countries are needed to ratify the pact, in order to implement the trade agreement. As for the RCEP, it is an ongoing free trade agreement between 10 Asean countries and Australia, China, India, Japan, South Korea and New Zealand. The Federation of Malaysian Consumers Associations chief executive Datuk Paul Selvaraj, who also had a session with the CEP yesterday, lauded the government’s move to abolish the highway toll and stabilise the retail fuel price as part of its enlarged effort to reduce the cost of living. “Where possible, the retail fuel price should be stabilised ... Toll abolition is beneficial and we fully support that,” Selvaraj told reporters after his meeting. Shortly after assuming power as Malaysia’s seventh prime minister, Tun Dr Mahathir Mohamad announced that the government would stabilise the selling price of RON95 and diesel fuels, while the price of the premium RON97 fuel will be floated to reflect the fluctuations in the global commodity market. While the CEP has been tasked to study options to abolish highway tolls, the government also plans to reintroduce the targeted fuel subsidy mechanism — which was part of Pakatan Harapan’s election pledges. “The government needs to study the fuel subsidy mechanism as it impacts various sectors such as food prices [and logistics costs]. If it reduces the cost of living for consumers, then the government should look at it,” Selvaraj added. Selvaraj also stressed that the prices of goods should come down as a result of the zero-rating of the goods and services tax, which took effect on June 1. If not, retailers may be profiteering from the tax holiday that is meant to benefit consumers, he added.